Are you being blessed with the little rain showers this morning? A nice shower before the predicted heat wave would sure be nice...guess I better get my rain dance on! The girls had lots of fun at the table runner class - from what I heard they really enjoyed using the NEW starburst ruler! We have more on the way if you are interested in checking it out! Let's see what else is happening around the shop today! Here's what's happening in JULY! June 21st: Row x Row begins! Have you been over to check out our CrAzY DaYs Sale?? We saw lots of faces yesterday and look forward to seeing many more in the next couple days! Don't forget we have extended hours too! We will be hosting a summer Pamper & Press class on Saturday July 30th! This is a fun project that you will have finished before you leave! If you haven't attended one of our Pamper & Press classes here is some quick info - your entire kit will be pre-cut for you before class & we will press your blocks for you as you go! This is also a great project for beginners or young sewers! 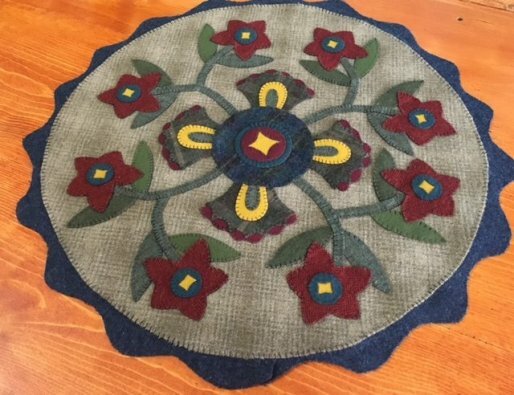 If you are interested in learning to sew - this is your class! 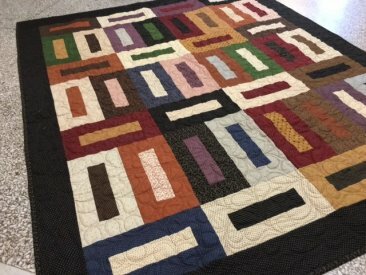 You can choose from any jelly roll in the store for this project - however there is a price difference for a couple of them! Are your collecting your rows yet? Row x Row 2016 has officially started! We have some fun fabrics and projects to work with this summer! If Row x Row is new to you - check out the details here. Don't forget to check out the shops participating while you are out vacationing! 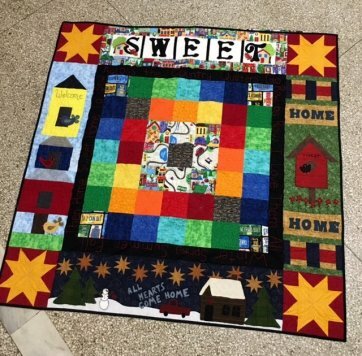 We are so excited to share with you that we have combined forces with Wagner's Quilts and Conversation in Arapahoe, Prairie Point Junction in Cozad and The Quilt Rack in North Platte to showcase our rows in a quilt measuring 54" x 54". Collect the rows patterns and kits at each of the four individual shops, then combine them in our unique project - perfect to display all year! We have kits available for our row as well as finishing kits for the project! Don't live near us but love our row? We're happy to accept pre-orders for our patterns or row kits to be shipped after November 1st. Row by Row rules don't allow us to ship any patterns or kits prior to November 1st - and we would hate to not be able to share this experience again with you next year! Just a reminder if you are signed up for any Block of the Months with us - be sure you are stopping in to pick them up! There won't be a newsletter next Friday - I'm off to visit some family! I will send you all a note when I get back. 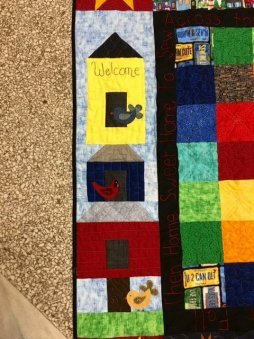 We also would like to wish all the area 4-H kids good luck with your quilting & sewing projects this next week! Here's my pic of my UFO from last week!